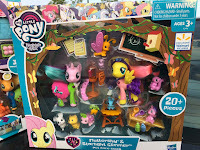 We're back from our holiday and got quite a lot of interesting store finds piled up from the past two weeks! In this store finds post you'll find more info on the latest Cutie Mark Crew finds throughout the US, get an update of what's available in The Netherlands and various new finds at Walmart, including the School of Friendship exclusive sets. 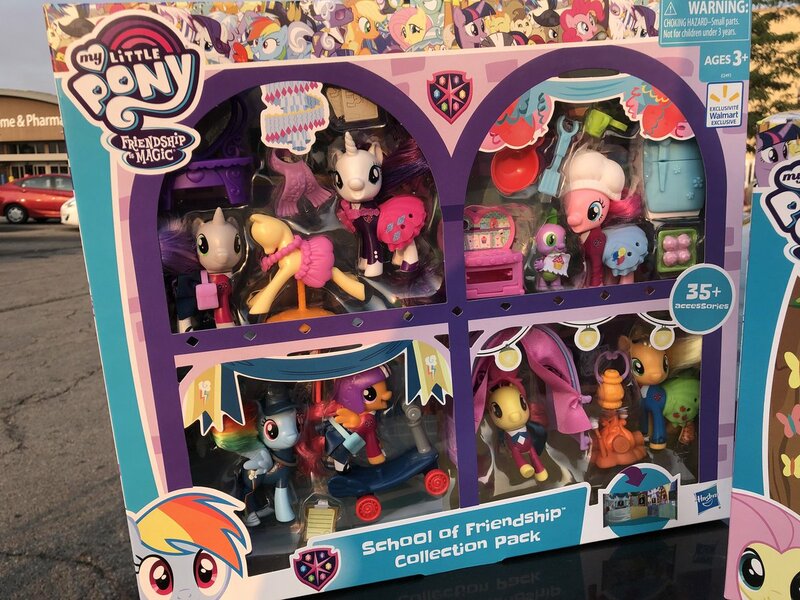 After a long tease of loose figures we finally learned about the School of Friendship Collection Pack a few weeks ago. 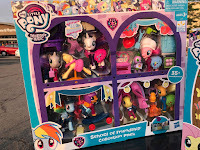 Since it's a Walmart exclusive set you can probably guess where this box was found! 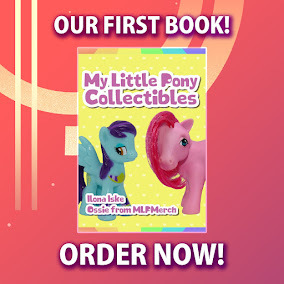 It's available for $49.88, and the online listing is now available for order too. You'll also be able to find the Pet Care Class set with Fluttershy & Starlight Glimmer (Walmart exclusive too) in stores as well as online for $24.88. News about the Cutie Mark Crew figures is dominating the community for the past few weeks, and with this volume it won't be stopping soon! 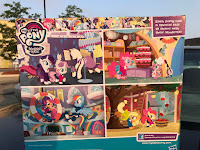 At Target you can get the series 1 multi-packs, an exclusive pack and the blind packs, but now the second series of the multi-packs are released as well! 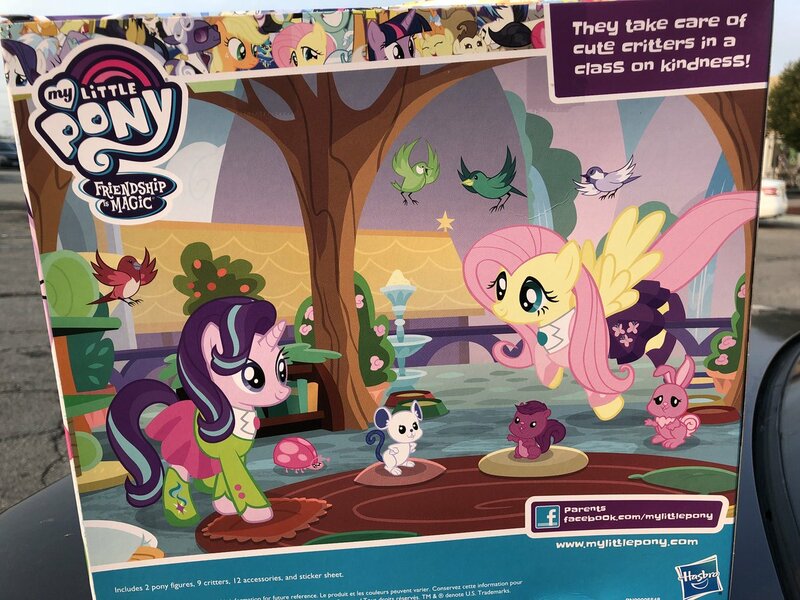 This Party Performers set contains Pinkie Pie, Lyra Heartstrings, Rainbow Dash, Rarity and a mystery pony. 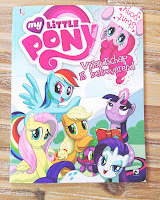 Party Style comes with Photo Finish, Fluttershy, Rainbow Dash, Applejack and yet another mystery character. Primera: Comics #5 and #6, translated into Dutch! 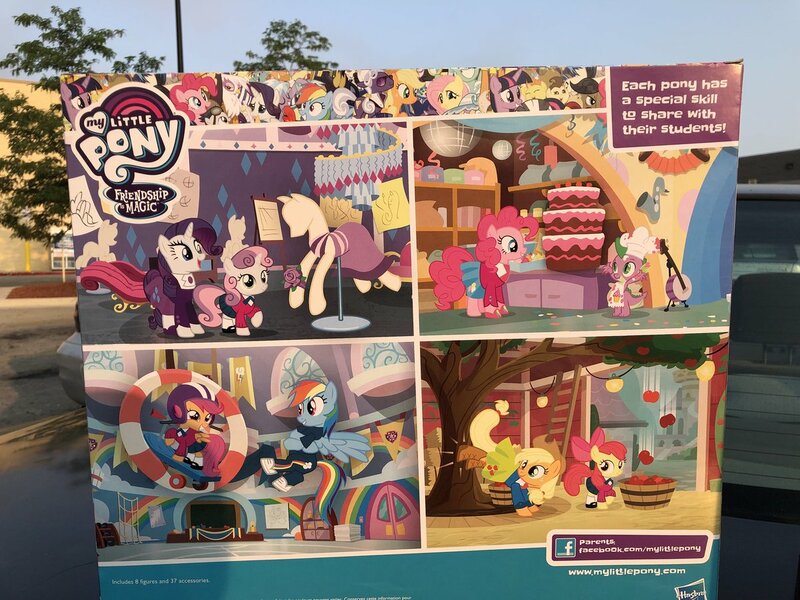 We didn't know these were out, so we're glad to have found them. 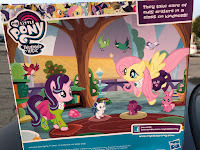 Also available was the new magazine, which includes the Princess Twilight Sparkle figure. 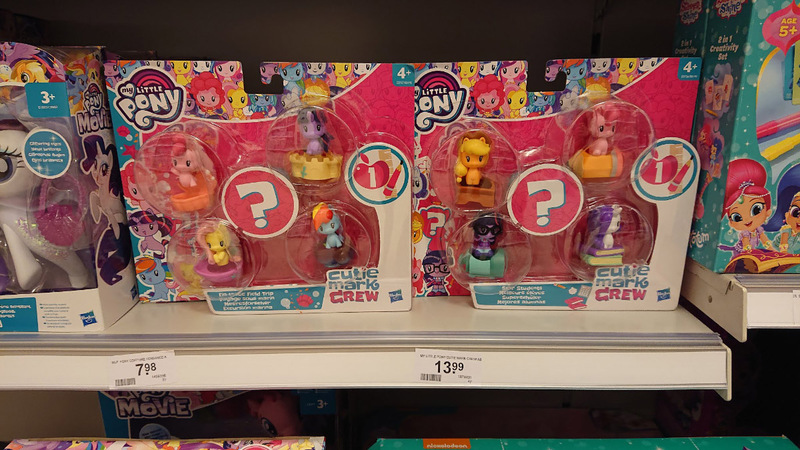 Intertoys: The first Cutie Mark Crew figures found in The Netherlands, although it only being the 5-packs right now. 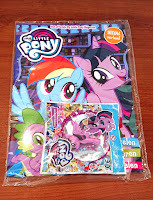 They're €13,99 for the bunch, so expect the blind packs (once they're released) to be around €2,99 each. 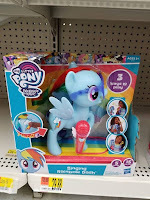 Action: Two new styling heads by HTI, featuring Twilight Sparkle and Rainbow Dash. 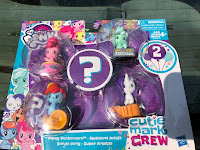 Aside from the head with brushable hair these also have a hoof you can decorate with the included stickers. 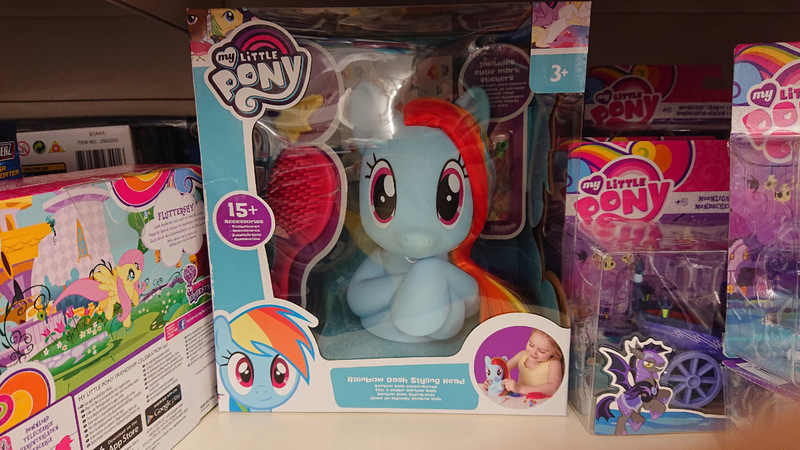 And then something odd: At Action this common fakie pony was also spotted ion the toys-section, and take a look at the manufacturer listed. 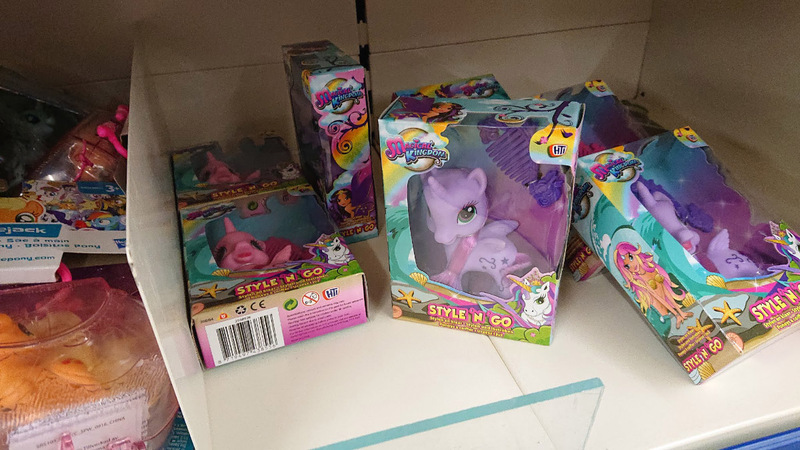 That's right, the company that makes officially licensed My Little Pony styling heads also releases fakies! 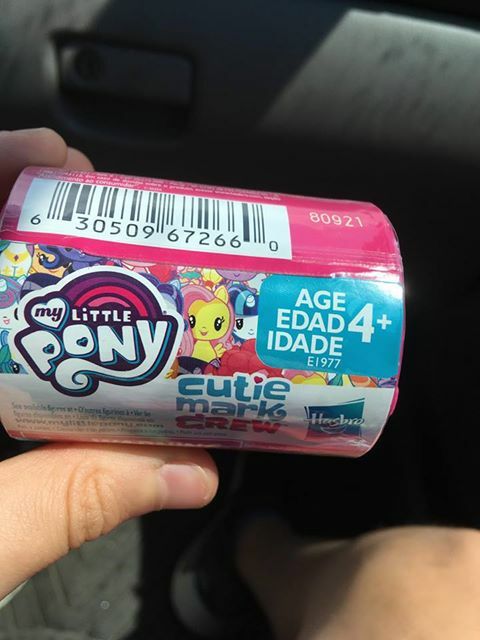 Luckily these are not marketed as "My Lovely Horse" or anything. After the big news that the blind packs were spotted at Target, we can also share that they're on the shelves at Walmart. They're confirmed to be $3.88 each and there are should be plenty of packs available by now. Keep in mind that we have not been able to find codes on these packs to identify each character, so you'll have to buy them (mostly) blind. 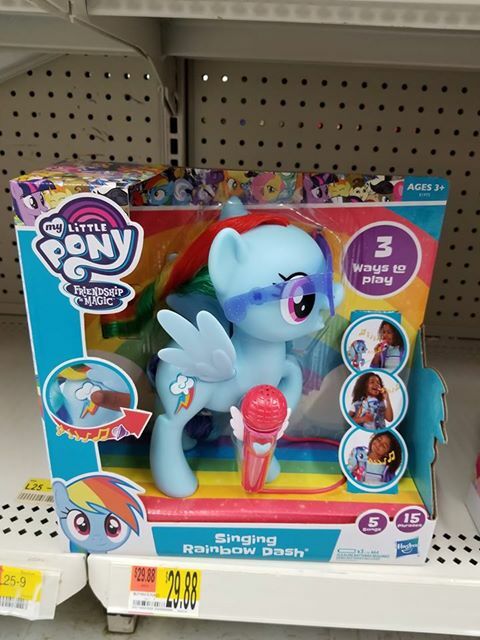 The larger figures from this year's wave, including the "Meet x" figures, are starting to appear in various places, just like this Singing Rainbow Dash at Walmart. 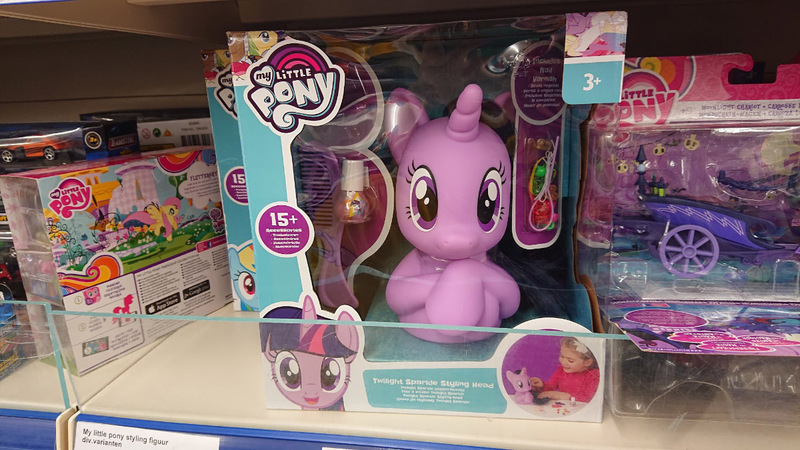 Note that she can also be found at Target, where (if the prices are correct) she's about $5 cheaper.